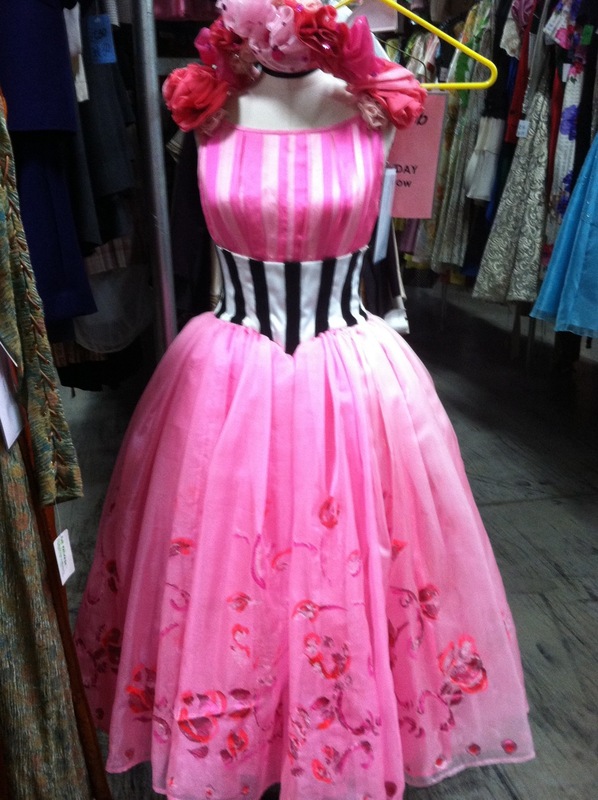 I have always loved costumes. 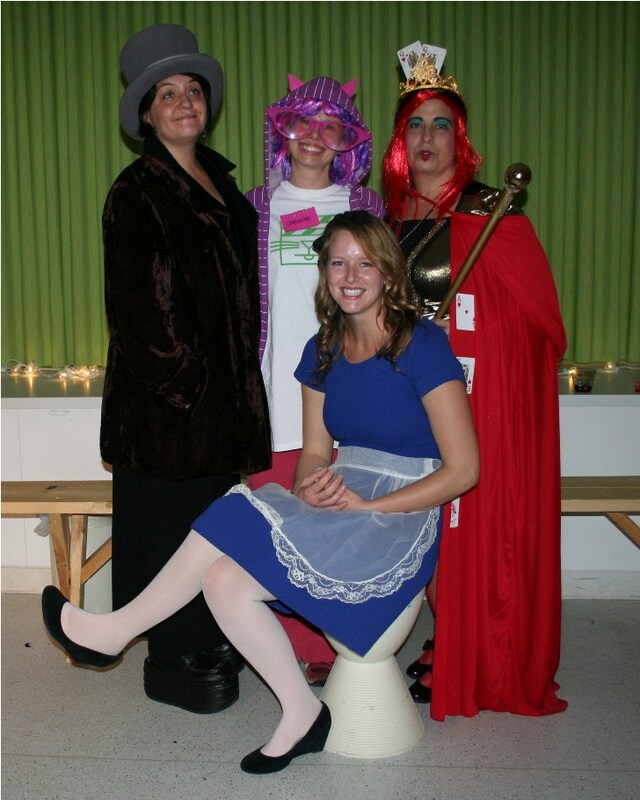 I would dress up as a kid at any opportunity. 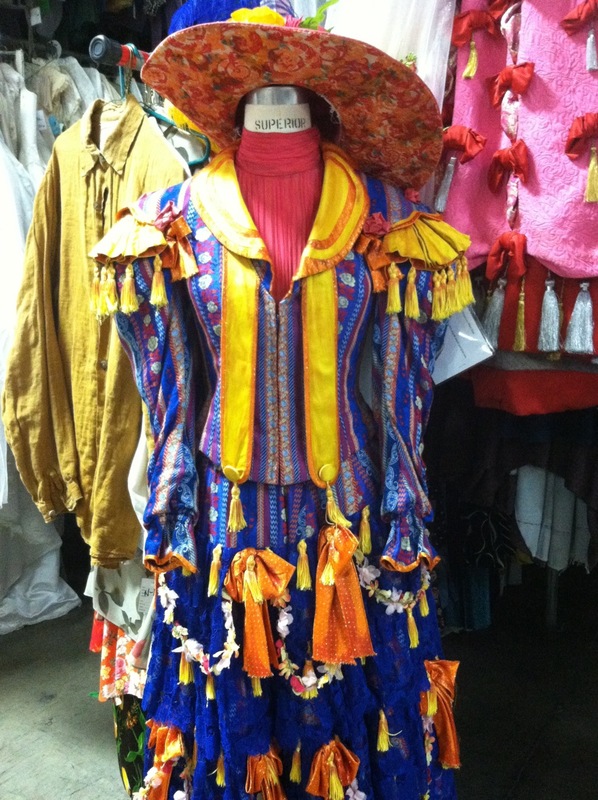 I worked in the costume shop in college and designed costumes for a few shows in recent years. 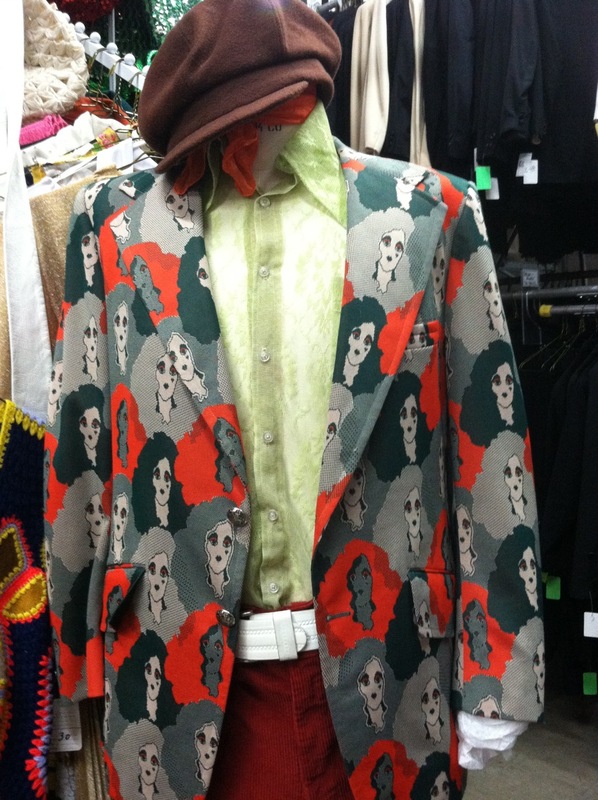 I still have a box of “dress up clothes” in my basement that I put to good use as often as possible. 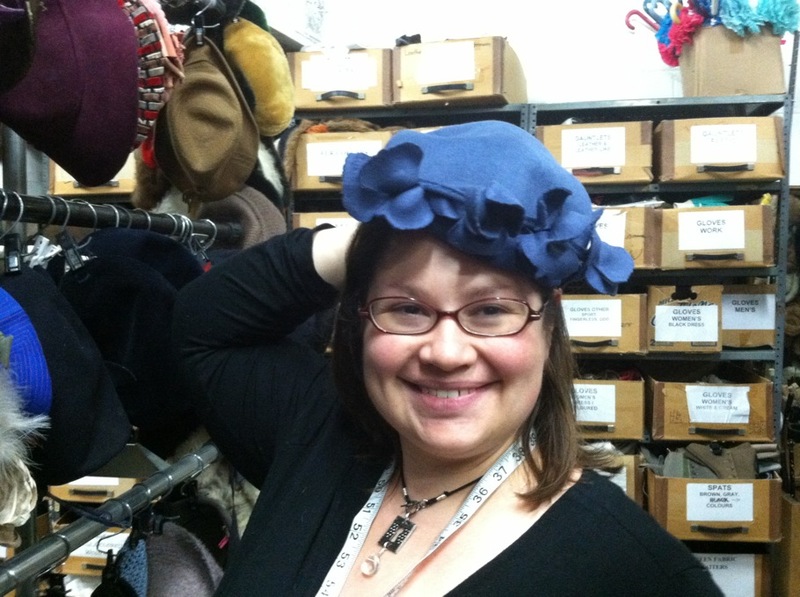 So, heading to the Guthrie Theater and Children’s Theater‘s joint costume storage, CostumeRentals, was my version of a pilgrimage. The occasion was sourcing items for the activity “Cindy’s Studio” for the upcoming After Hours: Alter Ego exhibition preview party for Cindy Sherman on November 9. Hair and makeup courtesy of Aveda Institute Minneapolis, check. Photography by Party People Pictures, check. 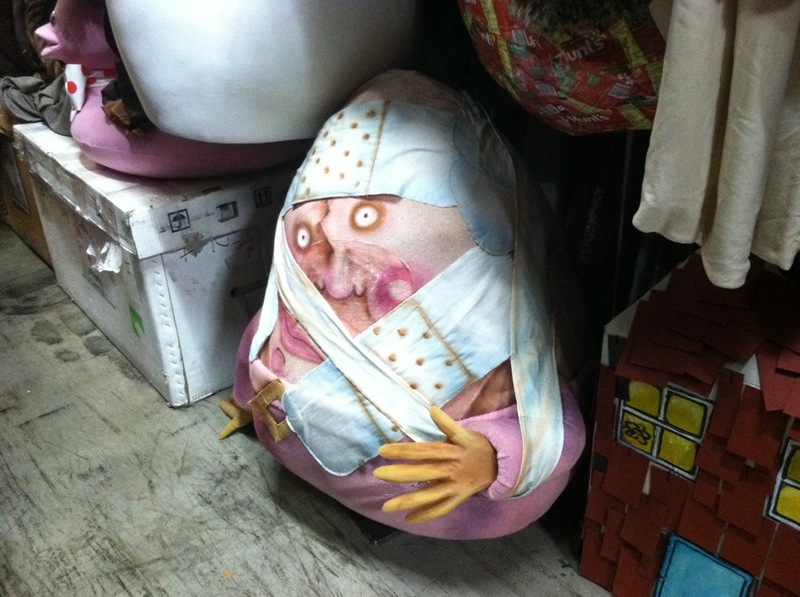 But, thrift store excursions (Cindy’s method) just weren’t turning up the period pieces we were looking for, and (unfortunately) “sewing” isn’t in my current job description as associate director of membership. 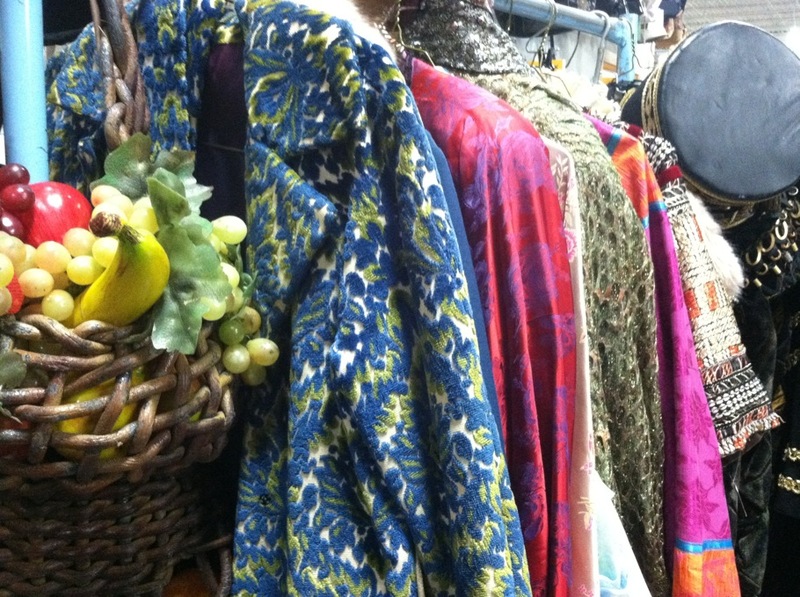 Thankfully, we have two costume-happy theaters in town that were more than willing to hook us up with the real goods. As my colleague Ilene Mojsilov, Art Lab coordinator, and I pulled up in front of the warehouse in Northeast Minneapolis we both wondered how many times we’d driven by the place and never noticed it. The narrow, unassuming brick building is on East Hennepin Avenue near the gas station with the cheapest gas in town. The only other nearby landmark of note is their parking lot, which cops use to spot drivers speeding down the adjacent hill. Hmm, maybe that is why I never noticed the building before. Inside we were met by the generous general manager Alicia Wold who introduced us to our able host for the afternoon, rental assistant Juli Acton. 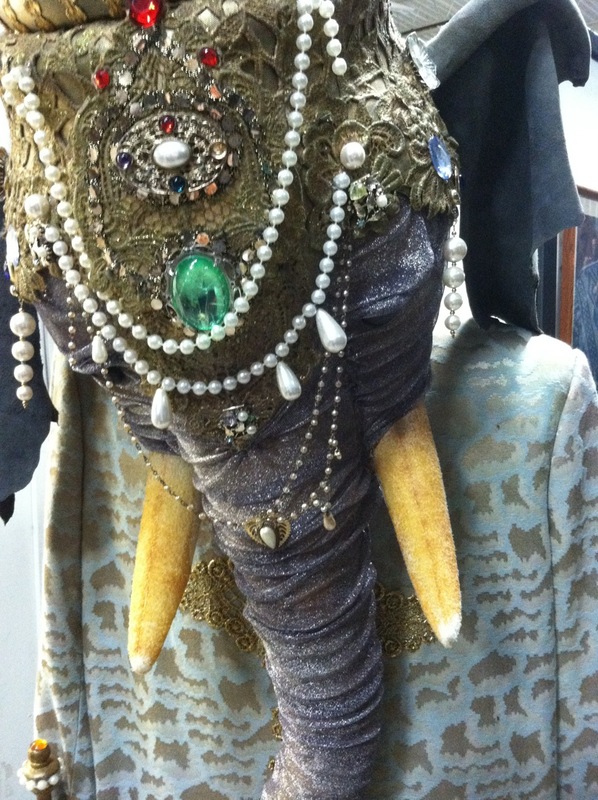 As we stepped into the magical costume storage area with Juli, my jaw may have literally dropped. The racks were four times longer than my living room and two stories high. The rows and rows of garments stretched on as far as I could see—definitely a football field in both directions. 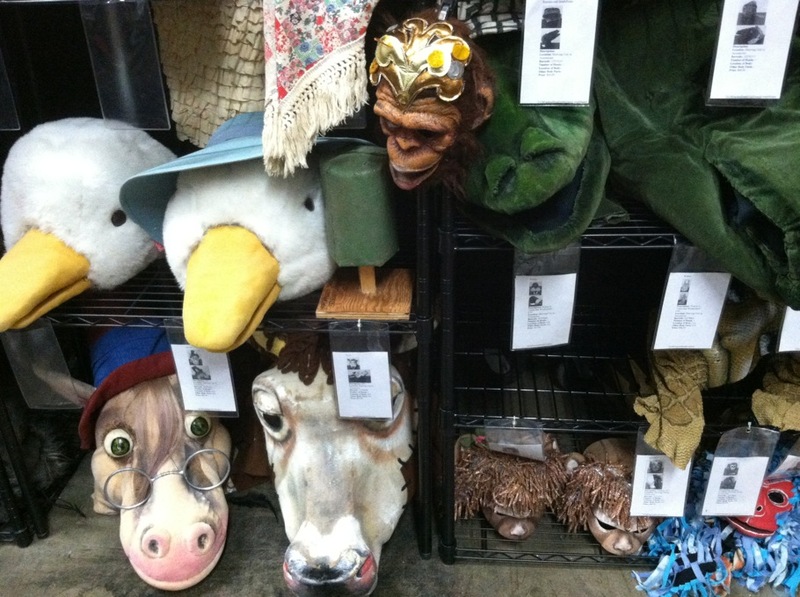 The majority of the space holds costumes for general use, but there are also reserved areas for each theater to store items for shows that they remount often like The Christmas Carol and Pippi Longstocking. 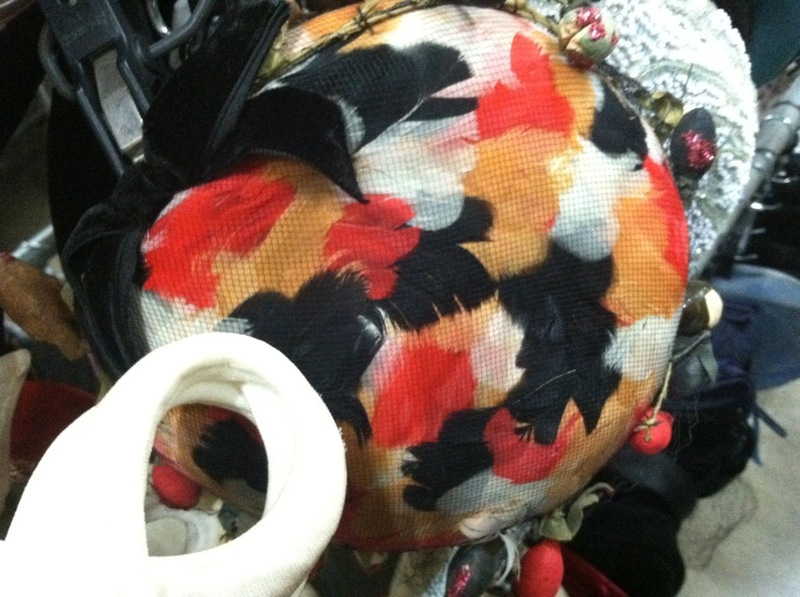 Each piece is labeled with a tag indicating the size, when it has appeared on stage, and its isle and rack number. Each isle has a theme and is marked by a signature outfit. As Juli started leading us around, it seemed as if she knew exactly what she was looking for in each isle. 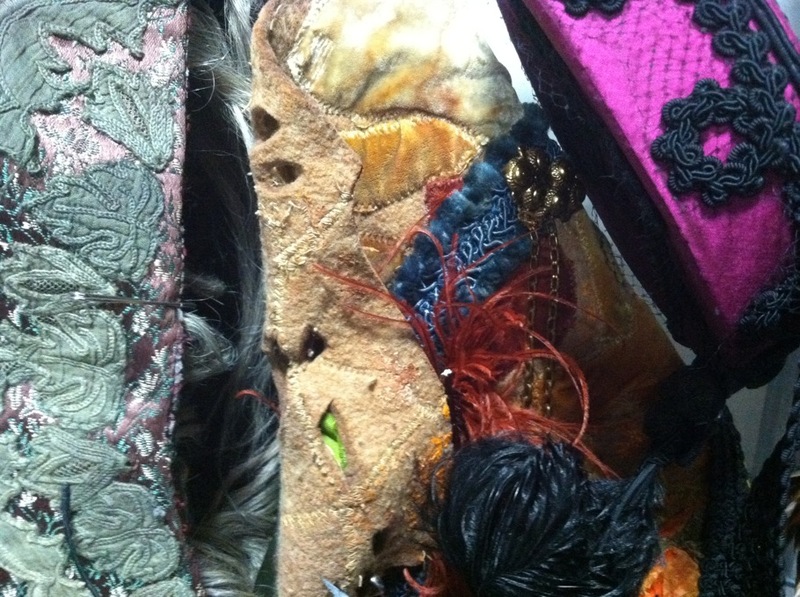 The first items on our list were pieces that would mimic Sherman’s historical portraits. Juli was concerned that some of the images we showed her from the exhibition were not entirely historically accurate, so after some discussion we settled on Middle Ages and Chinese coats. While Ilene and Juli picked out a perfect assortment, I got a little distracted by some of the other intriguing items in nearby isles. 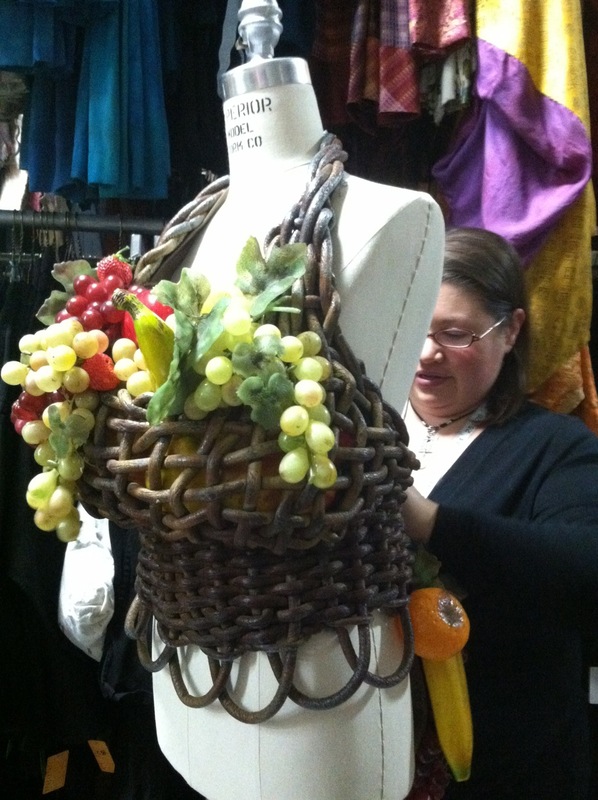 As I wandered back, Juli asked if we needed a fruit bustier. Why yes, we said, we certainly do. As we headed to our next destination, we passed by this piece that Juli explained is made up of 250 hand-sewn tassels. Our next stop were coats that evoke Sherman’s society ladies series. We selected a few coats in various sizes, then headed on to find matching hats. Juli knows hats. 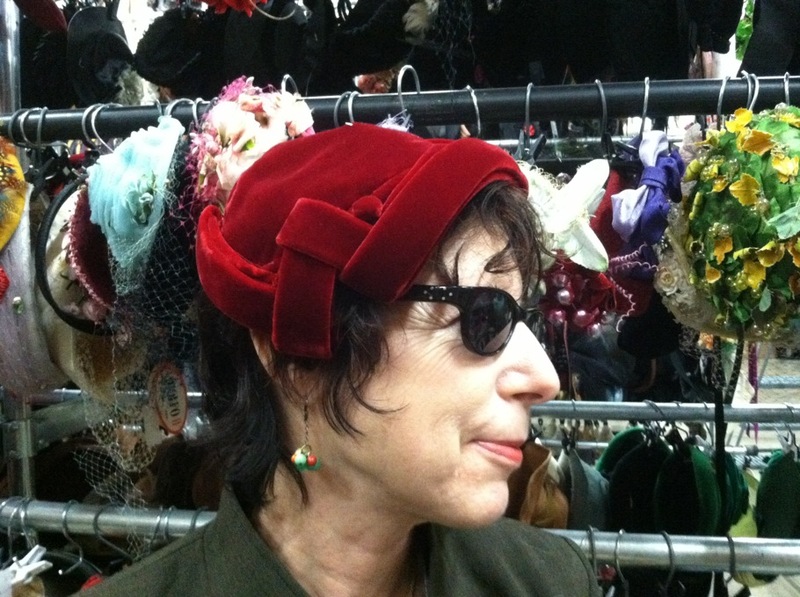 In fact, she can even pick out the right hat for your body type. As the lucky ladies in her presence, we became evidence of her skill. 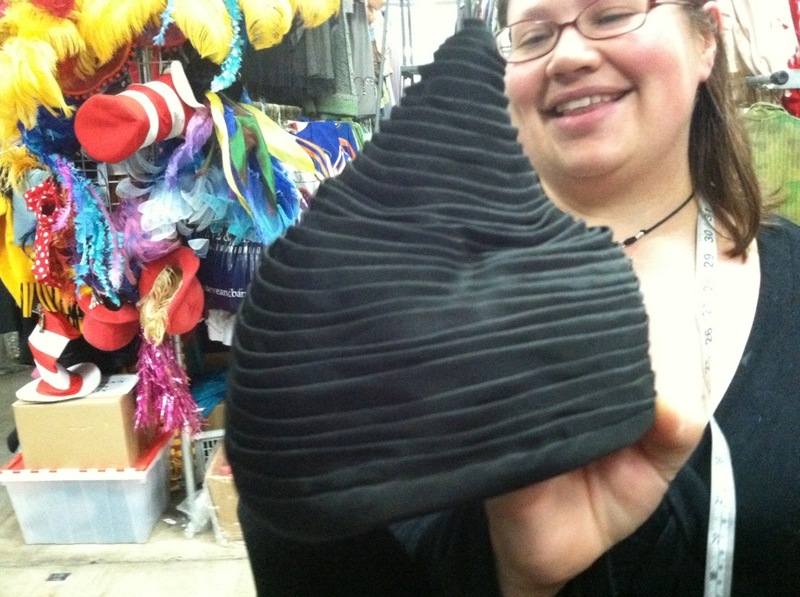 For Ilene’s small stature, a minute hat was in order. 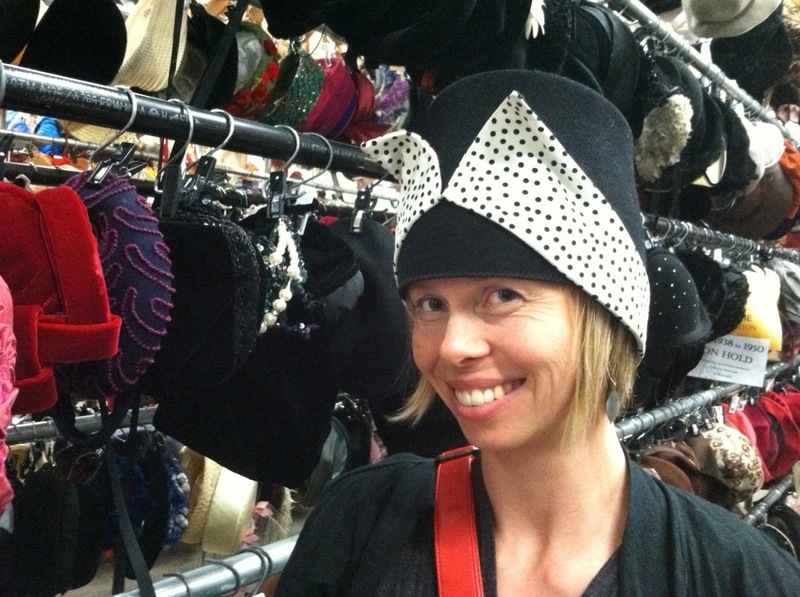 For me, this sleek black hat with a polka-dot motif (a personal favorite) peeking out from inside was a fit. She also said I could wear a postwar wide-brimmed Chanel hat which would have been paired with a cinched-waist dress with a full skirt. Gotta do that next time. For Juli, this hat is spot on. However, this one may not be right for any body type. 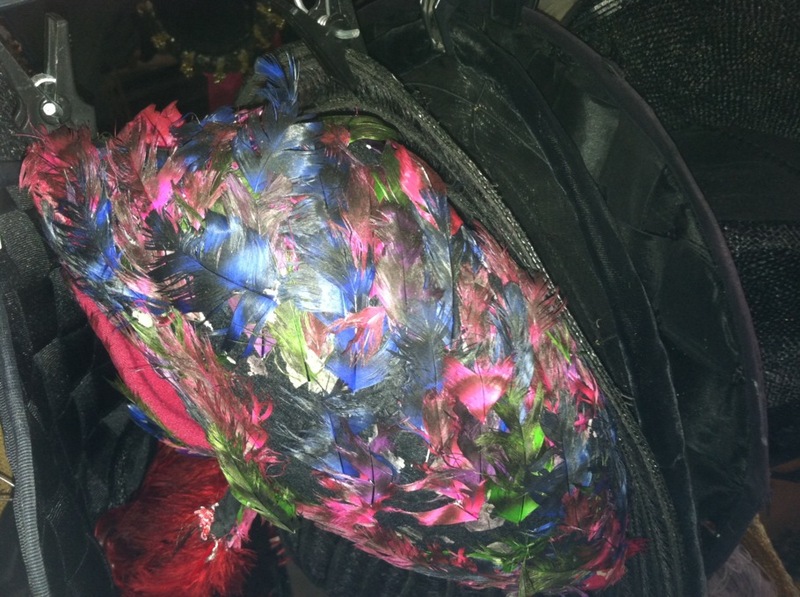 I became smitten with all of the feather hats. Then, I got a little distracted again and stumbled upon these friendly beasts. Our rack was full and our accessories box sumptuous, but we had one final stop. 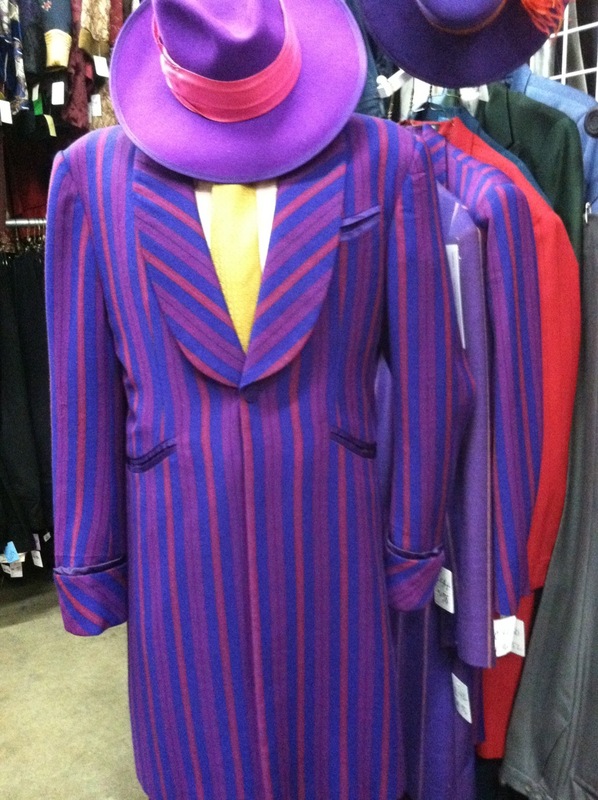 As we were heading out, Alicia asked if we wanted anything from the costume sale. Sale? Costumes? Have I died and gone to heaven? No, we just happened to book our visit on day one of this annual attempt at trimming their coffers. It was 5 pm, so we said why not. Ilene picked up a vintage ribbon suit and some beautiful dresses, while I opted for the cheap options and got 12 new pieces of clothing for $18. Most were only $1 each, the only exception being a dress I have actually been eying in the store. What are the chances? Well, when you head to Mecca, it seems as if dreams really do come true. 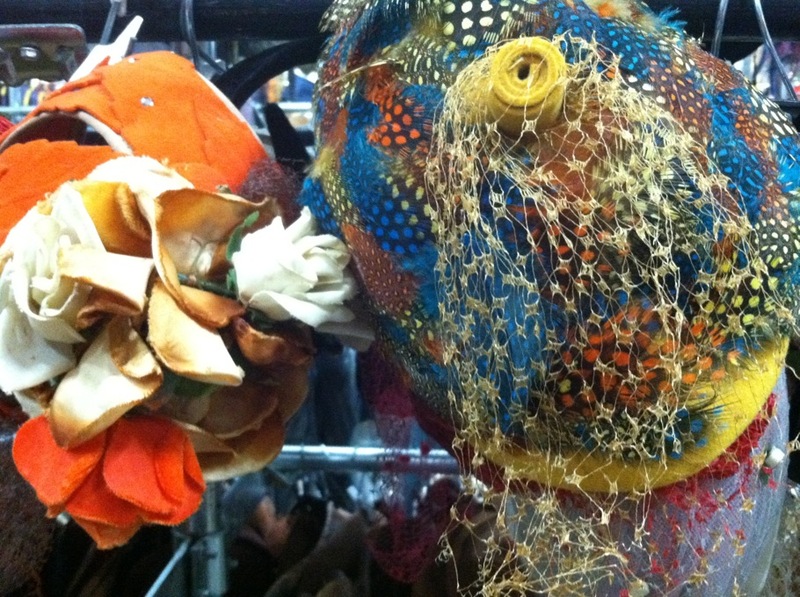 Join us for After Hours: Alter Ego on November 9, 9 pm- midnight, and try on these amazing outfits yourself! Tickets $30 ($20 Walker members) available online and via the Box Office 612.375.7600 .